Rob Hammond at Arizona border. 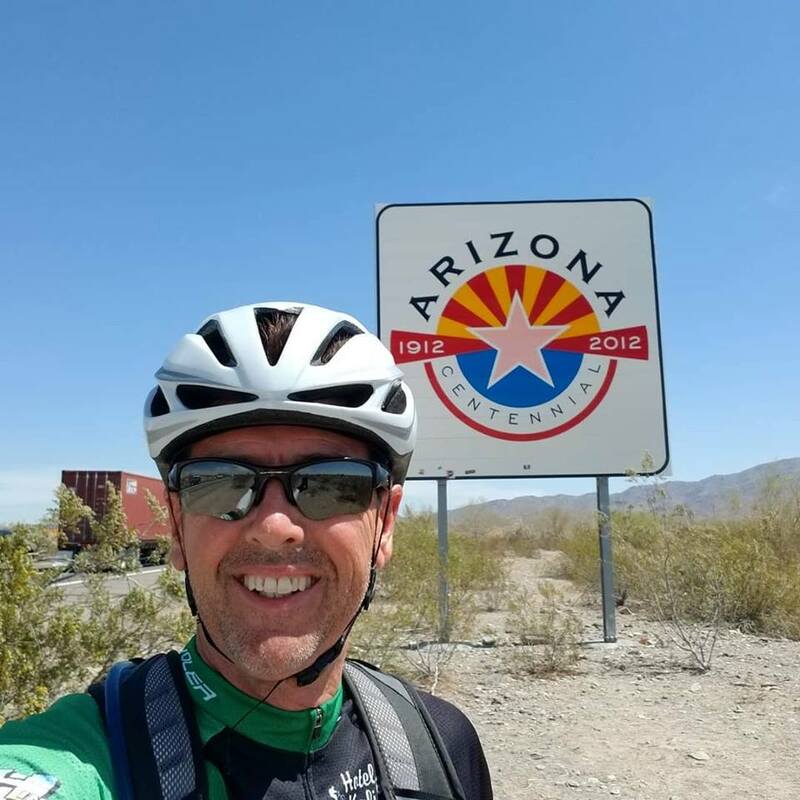 Monrovia school board member and former mayor, Rob Hammond, has crossed into Arizona on the San Diego to Florida bicycle ride he began on Easter Day. In 2013 Hammond rode his bicycle from Canada to the Mexican border.